Take a voyage to Africa’s most stunning and spectacular historical landmarks―Lake Victoria! Located in the east-central part of the country and sharing borders with nations like Tanzania, Uganda, and Kenya. Lake Victoria is an incredible attraction to see, but there’s much more around the area. Read on to learn some great things to do nearby. Also known as “Victoria Nyanza,” Lake Victoria is the largest lake in Africa. It has an area of 26,828 square miles, making it the second largest freshwater lake in the world. It’s commonly referred to as The Pearl and Pride of Africa. Which makes sense since it borders not one, but three countries: Uganda, Kenya, and Tanzania. With its vastness, dotted islands, reefs, 200+ fish species, and tropical highlands, Lake Victoria is a primary tourist attraction for those visiting Uganda. So, if you’re planning on touring Uganda, this lake should be on the list. Since it’s so big and there’s a lot to do around the lake, we’ve narrowed it down for you. Read on to learn what we recommend to do around the lake! This lake has a variety of bird species, which makes it a great place to go bird watching. Many tourists go to the Mabamba Swamp to see birds such as the Shoebill Stork. You can also just grab a pair of binoculars and look out from one of the beaches. Since the lake has tropical highlands above it. 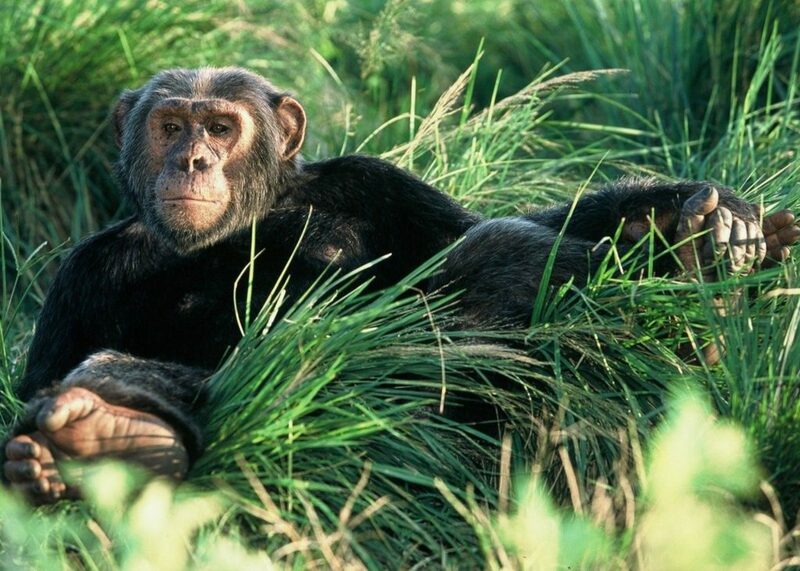 Did you know that chimpanzees were brought to a 100-acre island? Yep, Ngamba Island (or commonly referred to as Chimpanzee Island) is home to 49 chimpanzees. It’s a Chimpanzee sanctuary in Uganda. And is a popular tourist destination. You can do a day trip or an overnight stay. Why not learn something new while visiting Uganda? The Uganda Wildlife Education Center (UWEC) rehabilitates animals that normally wouldn’t survive in the wild. It also has veterinary services. And it breeds endangered animals in captivity. Besides this, the centre also contributes to scientific research. So, you’re bound to learn lots. You can also learn and benefit from the volunteers, as you can book many types of tours. Not to mention, you can spend a night or two in one of the dorms or cottages. And dine at the centre. All while seeing the best of African wildlife such as giraffes and chimpanzees. This is a small restaurant located next to Lake Victoria. The best part: the view—all while eating delicious pizza. On certain nights, the restaurant features live entertainment. So, view, pizza, and entertainment. Who wouldn’t enjoy this? Tourism activities in Lake Victoria have recently increased due to the improvement of infrastructure around the lake basins. Good roads, mostly from the Kenyan side and an increased investment in the hospitality industry have seen the number of tourists visiting Lake Victoria safari region shoot upwards. The number of world-class resorts being set up in the Lake region has made the Lake transform from a traditional fishing point where most of the Islands surrounding the Lake are now dotted with private resorts, game lodges and beautiful hotels that offer tourists an atmosphere to die for! Different hotels, lodges and resorts organize game drives for their clients. Alternatively, tourists can liaise with local tour companies and hire a guide to take them around the Lake Victoria region and benefit from seeing some of the wildlife in the area and how they co-exist with human life. 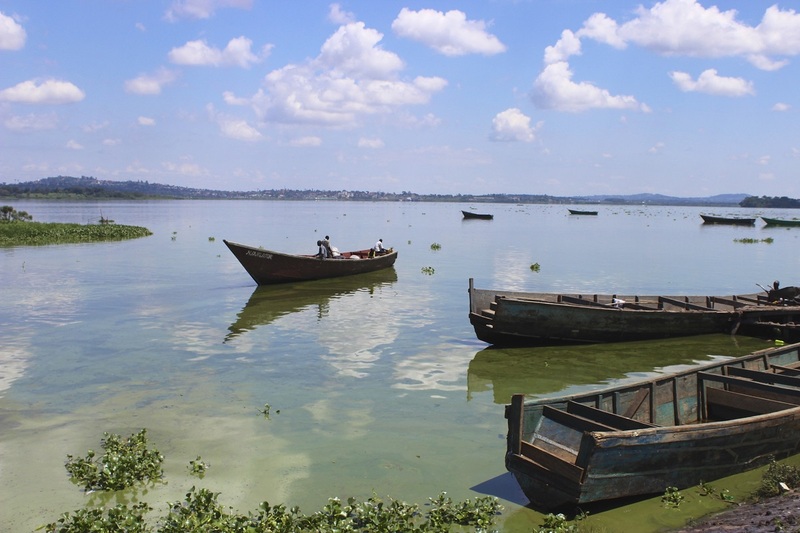 The Lake Victoria region is now one of the most popular destinations in East Africa due to its untapped island fossils sites and the generally quiet and private atmosphere that offers peace and tranquillity. The number of picnic sites that are coming up such as the Bridge Island and Rusinga fossil sites (In the Kenyan part of the Lake) where the oldest skull was found by renowned archaeologist Dr Leakey and indeed the beautiful Lake itself, which is a great game fishing point. Lake Victoria Africa as of now has more than 170 tourists sites and a quite a substantial number of heritage sites that outnumber other tourism circuits thanks to the 50 world class resorts set up along the Lake and the many Islands surrounding Lake Victoria. The National Botanical Gardens located in Entebbe on the shores of Lake Victoria are expansive gardens, thick with rainforests are a treat for the eye. You will come across a myriad of monkeys, squirrels and birds there. As a matter of fact, a local guide informed me that approximately 115 species of birds could be found in these incredible botanical gardens of Entebbe, Uganda. 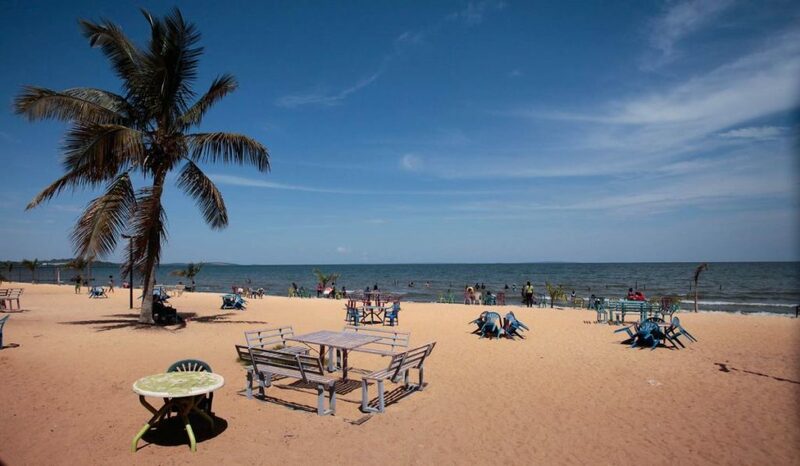 These gardens which are present on the shores of Africa’s mightiest lake are one of Uganda’s most often visited tourist attractions. For one thing, they are easily accessible. It’s a very short ride from the airport to the Entebbe gardens. Secondly, there is a multitude of both woodland and country species out there. You can almost become lost among them, so beautiful and numerous hours can stealthily go by without me even noticing time go by. This ruminate pocket of rainforest can be quite mesmerizing with the variety of nature present in it. You will come across Vervet monkeys, Diederik cuckoos, African fish eagle, Angola Swallow, wattle- eye etc. For more information about the lake check out these Lake Victoria facts. Tourists will enjoy the cultural and vibrant life of the local people. The views of the lake feature many varieties of boats, from large ferries and transport barges to ngalawa fishing boats and dugout canoes. This majestic lake has a great wetland surface that offers birdwatchers a wonderful expedition where they can observe the island fish eagles running a spectacular scene diving from high above into the lake water to catch their prey. Wildlife around Lake Victoria are naturally drawn here by the abundance of lush wetlands,water and food. Travel to Uganda’s many Safari parks including Queen Elizabeth Safari, Bwindi Impenetrable safari, Mgahinga Murchison Falls, Kibale Forest, Rwenzori Mountains Kidepo Valley, and Lake Mburo.Also visit the Ssese Islands and Entebbe on Lake Victoria. Uganda is really a great and wonderful destination. – The pearl of Africa!!! I am a University student preparing a presentation, researching the negative and the positive influence of the geomorphological features of Africa. This was very helpful. I have been here before and it is a wonderful place! I love the fact that it is so calm! Well written. Indeed, the beauty of Uganda can never be full exhausted. Lake Victoria is one the greatest resources Uganda is proud of having. Many more attractions do exist in Uganda; mention Mountain gorillas, golden monkeys – just to mention a few of them. Come to Uganda and see more for yourself. This lake has more in its original name of Nnalubaale than its recently acquired name of Lake Victoria. It is not only a reservoir to the Egyptian source of life, which is the River Nile, but also to its indigenous people.